Trance legend Armin van Buuren is coming to Malaysia to set fire to the dance floor with his uplifting and progressive beats! The five-time DJ Mag’s world No. 1 DJ is definitely not a stranger to the country, having performed in Kuala Lumpur twice in 2013 and 2014. 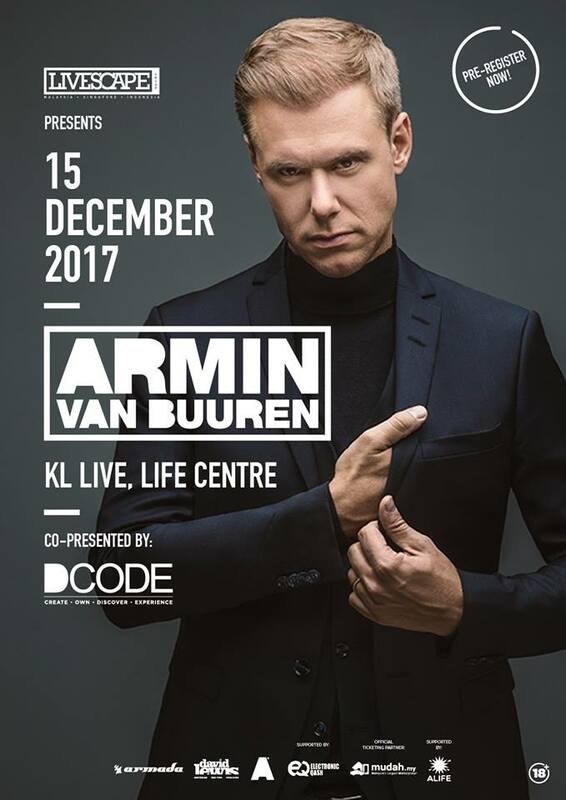 Organised by the Livescape Group and Electronic Qash, the 40-year-old DJ will perform again at KL Live, Life Centre this 15 December 2017. Ticketing details for the show is yet to be revealed, but do register at bit.ly/2g11o3Q to be the first few to grab the tickets! 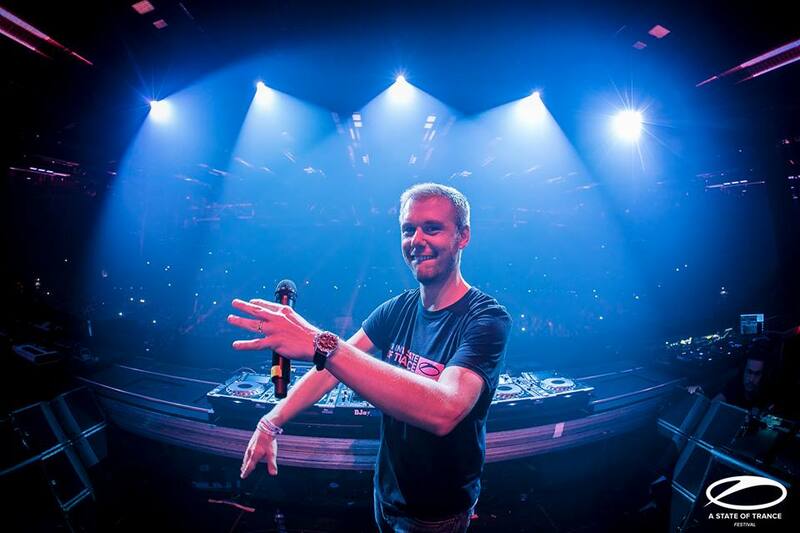 Hailing from South Holland, Armin van Buuren is one of the most influential figures in EDM worldwide. In 2014, he was nominated for a Grammy Award for Best Dance Recording for his single "This Is What It Feels Like" featuring Trevor Guthrie, making him the fourth trance artiste ever to receive a Grammy Award nomination. Van Buuren is also the host for a weekly radio show called A State of Trance, which is broadcast to more than 37 million weekly listeners in 84 countries on over 100 FM radio stations. 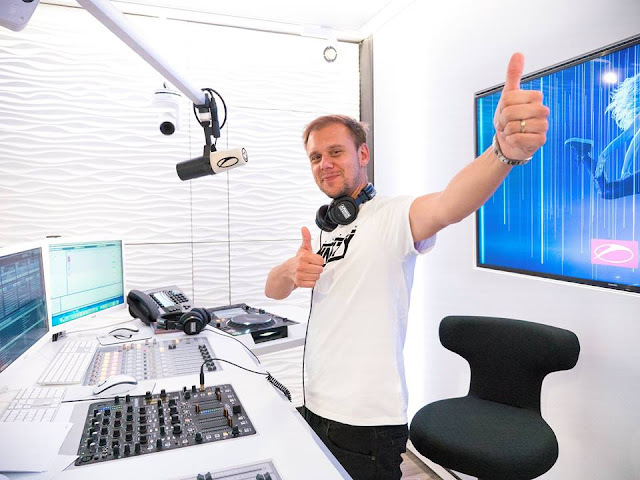 On February 2017, he officially opened the new A State of Trance radio show studio in Amsterdam as part of the celebrations for the 800th episode of the radio show.